These are the show notes to an audio episode. You can listen online right here by clicking: http://media.libsyn.com/media/airspeed/AirspeedC47Ground.mp3. I’m catching up a little on some of the audio I’ve recorded and haven’t yet had the chance to turn into episodes. Sorry about that, but I have a really good excuse. I’ve been flying airplanes like it’s my job. I got all of 40 hours of flying in in the year ended March 31 and I think I logged more than 16 hours this past April alone. Okay, lots of people log more, but few who are juggling family and a really cool law practice. To give you a quick update, I’m transitioning to the Garmin G1000-equipped Cessna 182T Nav III with Civil Air Patrol, I’m building some cross-country PIC time to qualify for the commercial certificate, and I’m flying a lot of aerobatics with Barry Sutton in the American Champion Super Decathlon to build tolerance to prepare for a really great opportunity with the Air Force at Randolph AFB in May as well as some potential media rides at air shows later this summer. 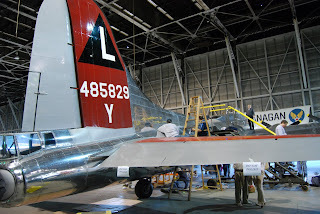 But, a few weeks ago, I got a call from a contact at the Yankee Air Museum. 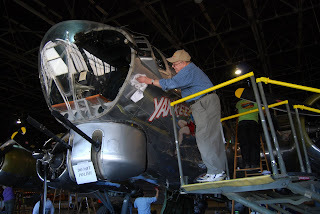 The Yankee Air Museum is an aviation museum located at Willow Run Airport (KYIP) near Ypsilanti, Michigan. It has, among other things, an operational B-17G Flying Fortress, a B-25 Mitchell, a V-77 Stinson Reliant, and, nearest and dearest to my heart, a gorgeous C-47 Skytrain. 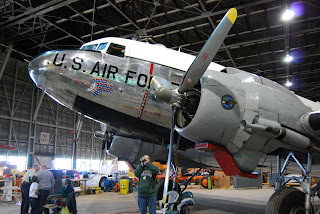 For those relatively few who listen to this show who don’t know why it’s so near and dear, the C-47 is the military variant of the Douglas DC-3 and (I get all excited whenever I get to say this) I’m rated by the FAA to fly both the DC-3 and the C-47 as second in command. 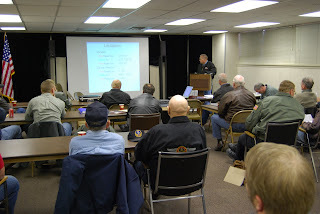 I’ve been a member of the organization for years and, when they heard that I was typed, the public relations people and the chief C-47 pilot at Yankee offered me the opportunity to sit through the annual ground school for the pilots who are going to fly it during the upcoming season. Bear in mind that I’ll probably have to get my commercial certificate and add a few hundred (if not thousand) hours before the museum’s insurance company will let me fly the 47 as aircrew, but it’s nice to be included and I really do plan to make myself useful to the museum in connection with that aircraft, even before I can be aircrew. Anyway, I showed up early all equipped with my DC-3 manuals from Dan Gryder’s type rating school down in Georgia and a couple of caffeine-bearing beverages. It turns out that the heat in the building is boiler-based and it has exactly two settings. “On” and “off.” It was comparatively warm for Michigan in March, so the setting of the day was “off,” even though that meant leaving the jacket on in the classroom upstairs. But that’s fine with me! It’s a hangar building and the sweet smells typical of a hangar holding round-engine aircraft wafted gently upstairs as the comings and goings of volunteers stirred the air about. Heck, this building started out as part of a bomber plant located at Willow Run during World War II, so I like to think that some of the smells and other ambience had been up in the rafters since the 40s and chose those moments to float down on me. The room was a little gray. I’m 42 and may be two or three people out of 25 or so in the room were younger than me. But that’s what you expect at a museum ground school like this. I found myself wondering how many total hours were represented by the pilots in that room. If I dragged the age demographic down a little bit, I definitely dragged the total time demographic down with my comparatively measley 240 hours. But I was welcome as a pilot. Nobody pounced and demanded to know why a poser like me was there. If I was a little defensive-feeling at first, it’s only out of respect for all that experience. But nobody pounced and, in fact, I struck up a couple of good conversations with the other pilots. I sat between two corporate guys in the second row and each assumed from my manuals that I might be a regular DC-3 driver. I quickly disabused them of that notion. The guys primarily giving the instruction were Jerry Nichols, the chief C-47 pilot, and Randy Hotton, the museum’s operations director. Randy and Jerry did most of the presenting. I suppose I could try to summarize some of the content or try to tell you what it was like, but it’s probably better if I just let you sit in for a segment or two of the school. One moment bears particular mention. Some good-natured acrimony broke out over whether the brakes on the C-47 could be set and/or released from the left and/or right seats. Unlike many other hangar arguments of that kind, the parties to the dispute – get this – went downstairs to the C-47 to resolve the argument. Very cool. I had been fairly focused on the ground school and didn’t go downstairs until lunch. But what a sight to behold when I did! 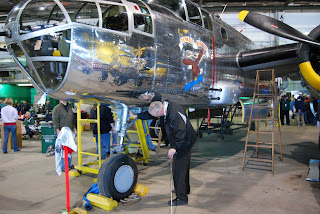 It had slipped my mind that it was the time of year at which the museum holds its bomber buffing party. Yeah, it’s what you think it is. Let a few hundred volunteers in with aluminum polish and towels and let them have at the aircraft. Everyone from World War vets to babes in arms. Some polishing more capably than others, but everyone pitching in to get the aircraft ready for the summer season. And the attendant hot dogs, chips, and other food in exchange for a donation. It was hard to go back upstairs for the afternoon session, but it was well worth it. I think that we all think at one time or another about what goes into operating these grand dames of the golden age of aviation. I got to spend a Saturday finding out. It’s about safety culture, understanding the aircraft, training, and quiet competence. It’s hard to get parts for these aircraft when they’re available. And some parts are just plain unavailable. You actually have to maintain your own dies so that you can remanufacture some of the parts yourself. As it is with any classic aircraft, it takes extraordinary courage and faith to maintain and operate these birds and I’m always grateful to see them fly each year. In the case of the Yankee Air Museum, that courage and faith is doubled. On October 9, 2004, fire destroyed the Museum’s hangar, taking with it nearly all of the museum’s ground support equipment, tooling, and several aircraft in the process of being restored. Fortunately, the fire did not consume any of the museum’s airworthy aircraft and the museum is working toward building a new facility. Helping with that will be the annual Chrysler Jeep Superstores Thunder Over Michigan airshow, which will again feature the US Navy Blue Angels. 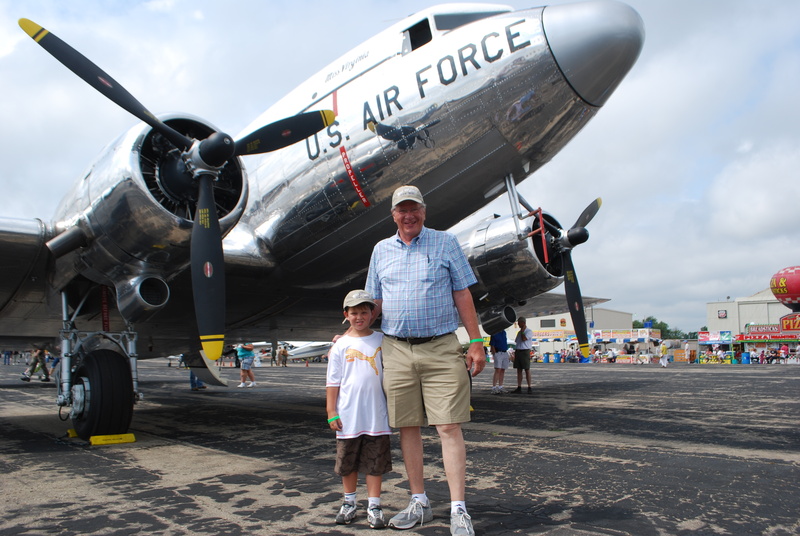 It’s Saturday and Sunday July 18 and 19 at Willow Run Airport and it’s one of the best assemblies of warbirds you’ll see anywhere and this year also features once-in-a-lifetime lineup of C-130 Hercules aircraft. Make sure that you attend if you can. The museum is located in Hangar 2 near the southwest corner of the airport just east of the approach end of Runway 5R. If in doubt, take Exit 185 from I-94 and go north to Tyler Road, head east until you hit the airport fence, then turn right and follow the airport perimeter fence around until you see the hangar. If you get lost, just keep circling the airport on the access road and you’ll get there sooner or later.